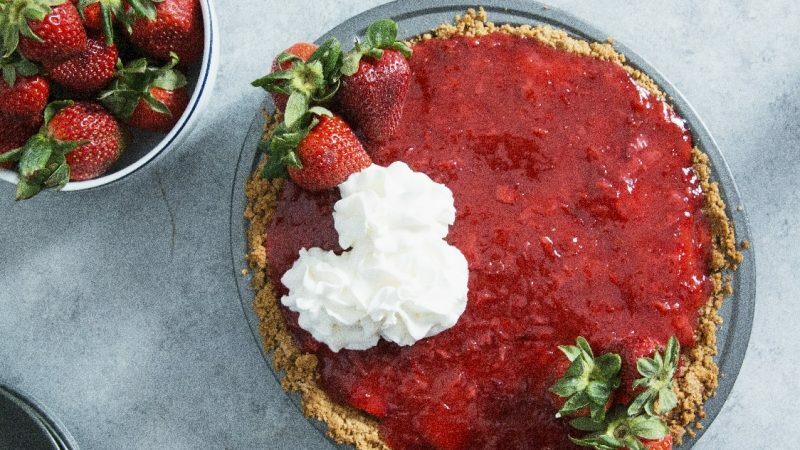 A delicious strawberry filling complimented by a vanilla graham cracker crust. This pie will be your go-to for spring and summer entertaining! Place the graham crackers in a plastic zip-lock bag. Seal the bag and crush the crackers. Pour into a bowl. Add the brown sugar, butter and vanilla paste and mix well. Press evenly into pie pan, bake for 5 - 6 minutes, until the crust sets. Let cool completely. In a small bowl, crush enough strawberries with potato masher to make 1 cup mashed strawberries. Then, in a medium sauce pan, combine sugar and cornstarch. Add mashed strawberries, water and vanilla extract. Cook until mixture boils and thickens, stirring constantly to avoid burning, until jammy and remove from heat. Refrigerate until ready to use. While the mixture is chilling, slice remaining strawberries. Arrange on bottom of prepared crust in layers. Pour cooked strawberry mixture over the top, smooth. Cool in refrigerator 3 hours or until set.